MOVING OBSTACLES « Apostle Talk: Future News Now! the work that will impact the world. Also, two SPECIFIC messages TO and FOR you from God. ALL THINGS THAT JESUS HAS ARE YOURS! BELIEVE BIG! “He will glorify Me, for He will take of what is Mine and declare it to you. All things that the Father has are Mine. Are you having trouble believing for GREAT THINGS―impossible things―in your life and ministry? How big can you THINK? How big can you ASK? Make sure your plans and your goals go BEYOND what you can do. When you enter the realm of impossibility, then you are in God’s realm: the realm of MIRACLES. Then, He will have to get the glory! Don’t hesitate to BELIEVE BIG! Go ahead and START that new work for God . . . for His glory! You have left much, but not all. Parts were taken, you did not leave them. I have seen the secret place―which no man knows! I came to be wounded in combat. I shed my BLOOD and gave My life to HEAL the SEPARATION between God and man. I bought you to God with My own blood. You now belong to God. You have My Word and the promises in My Word. You have the Holy Spirit: the Other One Who empowers you and guides you into all truth. You have resurrection power which assures your success, and even in failure restores you. You have My Name. Use My Name to vanquish the enemy and to obtain MIRACLES, resources, and joy. You have the ministry of the Holy Angels to help you and protect you. Fiinish the work I have assigned you: short term and long term. I was in a church one time which consistently does lots of good work to help homeless and disadvantaged people. However, after the service there were three homeless men sitting in the lobby at a table but nobody was talking to them. A friend asked me if I would sit with them and talk to them. I was very glad to do so and had a wonderful conversation with them. I searched what different men of God in the past (and others) thought about this passage in Romans 12:16. I have listed them below. I trust today we will all reflect on how our LORD would have us to condescend to men of low estate, and pray that we might please Him in doing so . . . continuously. Do not hesitate to BELIEVE BIG! Click the center of the Libsyn pod circle at top left. After you listen to this message, you can scroll down for all messages previously in the LibSyn Archives (with Show Notes). A few years ago the LORD started speaking to me about “Binding and Loosing.” Although I knew the basic precepts of “Binding and Loosing” and had used those scriptural principles for years in situations dealing with spiritual authority, the LORD was impressing me to be more active and militant in the use of them. Interestingly enough, if we examine this passage in the original language – [See Footnotes at bottom of show notes for language info.] Jesus probably spoke Hebrew in both of these passages as He was teaching His talmidim (disciples) and they were ALL Jewish, but the text was later recorded into Koine Greek (the lingua franca of the day) – we see an amazing truth. In the original we are reading literally: “Whatever you bind (or loose) on earth shall already have been bound (or loosed) in heaven.” The verb form reflects action that has been achieved in the past has now become active in the present. The past action refers to Messiah’s complete triumph on the cross-stake. Now that we have discussed this important truth, let me share how God dealt with me. Shortly after the LORD began speaking to me to be more active and militant in “binding and loosing” I was flying to Cincinnati (USA) to teach at a seminar and miracle meeting. A Baptist pastor picked me up at the airport and on the way to the church we had to put the automobile on a ferry or barge to cross a river. The pastor and I were outside the car on the boat ferry and he began to tell me an amazing thing. He told me, “God has been dealing with me about ‘binding and loosing.’” I had NOT told him that the LORD had been dealing with me about the same thing. It was a blessed seminar with the presence of the Holy Spirit. However, I soon forgot about what the pastor had told me. About 3 days later (which was the last day the young man would be in town … he lived about 1,800 miles / 2900 km away), God told me to go visit him. I called my friend and told him and he invited me to dinner that evening. During my visit, the LORD gave me a prophecy for the young man. I told him, “Go back and start a church!” That church has different campuses in two different states and I think over 10,000 members. There were three generations of them visiting me: grandfather, father and son. The family (from oldest to youngest) had ministered in Burma (Indo-China) for 51 years (from oldest to younngest) and had been imprisoned by the Communists three times. There was lots of demonization and false religions in that area in Southeast Asia: the majority praciticing Theravada-Buddhism with some of the tribal people practicing animism and shamanism. The Morse’s told me that they had labored almost without fruit – without people coming to Christ – for years. Then, the LORD told them to “bind” Satan and cast him out of the areas where they would be ministering. Immediately they started seeing people come to Christ. Then, the LORD instructed them to “loose” the Holy Spirit” into the areas where they would be ministering. After that, a great harvest of souls – people receiving Christ – resulted. As I remember around 65,000 people received the LORD and many were baptized in water. They labored for the LORD among the Lisu tribe and helped in the migration – the escape – of 1,000’s of Christians into and through the jungle. God is waiting upon you to to do the “binding and loosing.” He is wanting YOU to do your part and work with Him in intercession. When you do your part – binding and loosing – then the finished work of Christ takes effect … and what you have bound or loosed … will already have been bound or loosed in Heaven! So, my challenge to you is this: Take advantage of “binding and loosing.” Your leader, Jesus the Messiah, taught this. And remember, “Whatever you bind (or loose) on earth shall already have been bound (or loosed) in heaven.” Listen to God … and NOT men! What is that GREAT thing you want to do for God? What is the deep stirring in your heart for ministry unto the LORD? Nations and unreached tribal groups are hanging in the balance: waiting for you to be the one who reaches them … or, who coordinates projects to reach them … in these Last Days. 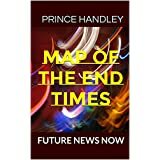 I have selected three (3) books which will help you to know what is getting ready to happen in these Last Days, plus provide you with the enablement – the POWER and GIFTINGS – to get the job done. Here they are … just click on the image. Now … YOU can reach the world for Christ. And remember, “binding and loosing” can be used for other than ministry. Learn to use it actively and militantly … just like the LORD instructed me. Recently the LORD instructed me to start a new project for Him in the Kurdish language. One of the attributes of the Holy Spirit is to “show us things to come.” After the LORD had us start this project, the Kurds recently took over the oil fields and the city of Kirkuk in Iraq. It is prime time to reach Kurdistan (the northern portion of Iraq and bordering Iran on the east) with the Good News of Jesus. 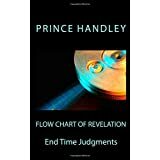 Amazingly enough, the two books shown above, Map of the End Times and Flow Chart of Revelation reveal the specifics of Babylon in Iraq and its prophetic significance. 1. Hebrew was regarded as Lashon Ha-Kodesh, the sacred language of the Jewish people. Independent linguistic evidence indicates that Hebrew was used as a common language during the late second Temple period. For example, J.T. Milik wrote, “Mishnaic [Hebrew] … was at that time the spoken dialect of the inhabitants of Judaea” (Ten Years of Discovery in the Wilderness of Judaea). 2. Koine is the Greek word for “common.” Koine Greek (also called New Testament Greek) was the form of the Greek language used from around 300 BC to AD 300. 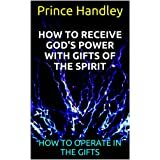 How to overcome obstacles and experience MIRACLES … real miracles … through the anointing of the Holy Spirit. What to do when the devil and people lie to you and about you. How to WIN and turn obstacles into opportunities. Your enemy, the devil, will lie to you through people (even Christians), through situations, through your mind, through demons: he is a “master of deception”. But I have GOOD NEWS for you. Your Friend, Jesus Christ, will tell you the Truth. He is “The Truth”; His Word is Truth. Listen to the voice of God. Read His Word and LEARN from Him. Pray and HEAR His Spirit. David succeeded in killing the giant, Goliath, the same way the two men of faith, Caleb and Joshua, succeeded in entering the promise land: because he saw, as they did, obstacles as opportunities for MIRACLES: avenues through which God could be glorified! The size of the person is more important than the size of the problem. Who are you on the inside and Whom do you trust! Don’t focus on the giants … focus on God. That’s why the enemy lies to you. The devil wants to get your attention away from your Heavenly Father: away from His love for you and His ability to provide for you. I remember teaching my first born son how to sail. We were in a harbor of the ocean where many yachts and boats were maneuvering. My son kept his attention on another yacht … what to miss … instead of our tack (where we should be going). He was focusing on what to miss instead of where to go. So it is with many Christians: focusing on the giants instead of their opportunities and goals. Stop worrying about whether you’re going to sin and start praising and THANKING God for helping you to live holy! Stop being concerned about failure and start praising and THANKING God for helping you to be successful. Also, pray AHEAD OF TIME for what you’re going to do AFTER YOUR VICTORY! Many people have what psychologists label a “fear of failure”; but I would say, in the people I have counseled through the years, just as many or more have a “fear of success”! King Saul was an example of this. I think he had a “fear of success”. Pray AHEAD OF TIME and receive the anointing for what you’re going to do AFTER YOUR VICTORY! Don’t give in and don’t give up. If you don’t quit you’ll win! Remember to tell your friends about the podcast.